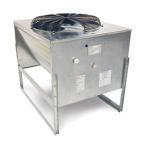 Commercial ice machines are an important and commonly purchased piece of equipment for a foodservice establishment. If you're trying to looking to replace an old modular cuber or are in need of an additional undercounter ice maker for your bar you have arrived to the best place! We carry top quality ice makers from some of the best brands in the industry to ensure that you get the right unit for your restaurant, deli, ice cream parlor or bar. 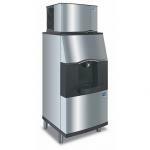 Commercial ice machines produce ice in a number of different styles and sizes for any kind of beverage service need! Choose from cube, flake, or nugget styles in production sizes ranging from 60 to 3300 pounds! 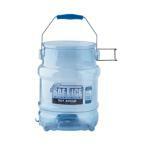 It is easy to navigate our fantastic selection and you will find perfect machine to suit your needs. 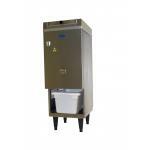 Don't forget we also offer ice machine bins and dispensers, water filtration supplies, and ice transportation accessories. 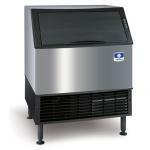 Our selection of ice machines comes from trusted brands like Manitowoc, Scotsman, Centuar, Ice-O-Matic, and Hoshizaki. Please contact one of our trained commercial ice maker specialists at 1-877-236-5780 for assistance!